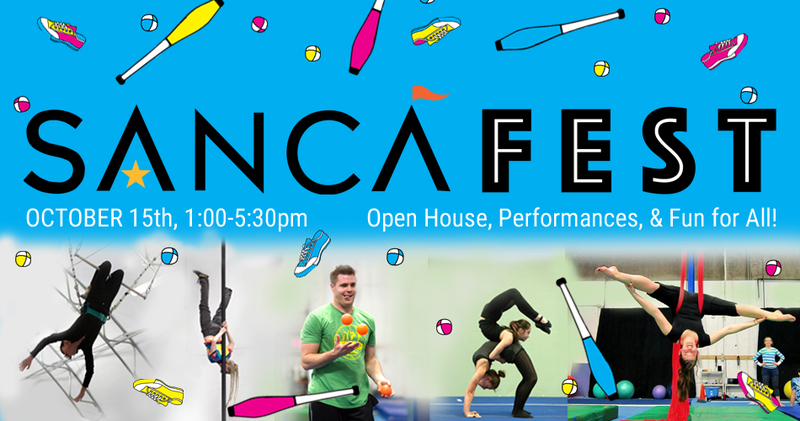 If your organization is thinking about having a circus class with SANCA, please take the time to read through and fill out the form below so we can get the ball rolling! A minimum of four weeks advance planning is required to organize all the logistics related to partnership classes. Our field-trips are an exciting glimpse into the world of circus arts, while our on-going classes allow students to delve deeper in to the different specialties and have a chance to practice and improve their circus skills. Discounts are available for on-going classes. If we are coming to your organization, please describe the space you have available. For circus, a large open space with high ceilings and hardwood floors is best. How long would you like each class to last? We can offer circus classes anywhere from one hour long to all day long. We recommend a shorter class for the young ones and at least a 1.5hr class for the teens. For safety reasons we keep our student to teacher ratio at 8:1 and 6:1 for students under 8 years old. Therefore, it is hard for us to accommodate more than 24 students in one class. How many participants are in your group? Our programs are designed for ages 5yrs old and up. Rarely do we offer field trips for pre-schools. What is the age range of your group? Possible dates/days/times: Do you have a specific time frame you are working with or is your schedule more flexible?